Don’t let temperatures stop you from having a little fun. The best winter boots for men are designed for durability, going off the grid, and won’t hurt your wallet. It isn’t always easy to find a product that checks all the boxes. The best winter boots for men are out there though and we’ve taken the guesswork out of it for you. On our list, you’ll find warm, waterproof, and stylish options for your feet. 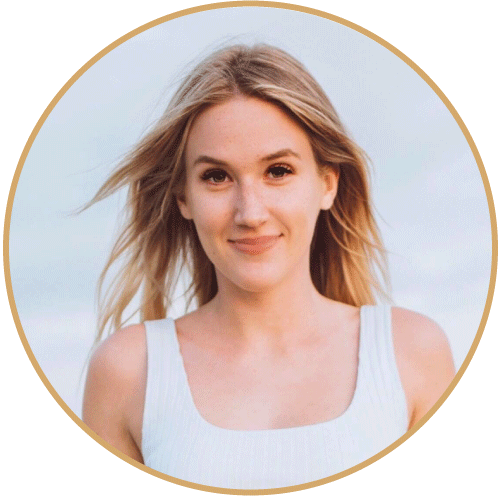 After all, we know how hard it can be to strike a balance between looking good and feeling good. So go ahead and book that European winter destination. Go off the beaten path. Trek through the woods on a snowy evening (hello Robert Frost). To help you choose your pair from the best winter boots for men, we’ve included a guide of considerations before making your search. There’s also a helpful chart available to compare products. Maybe it’s been a while since your last big travel accessory purchase. We promise to offer you nothing but the best in terms of footwear. Whether you’re heading to the mountains for ski season or Europe for the Christmas markets, you’re going to want good quality shoes. 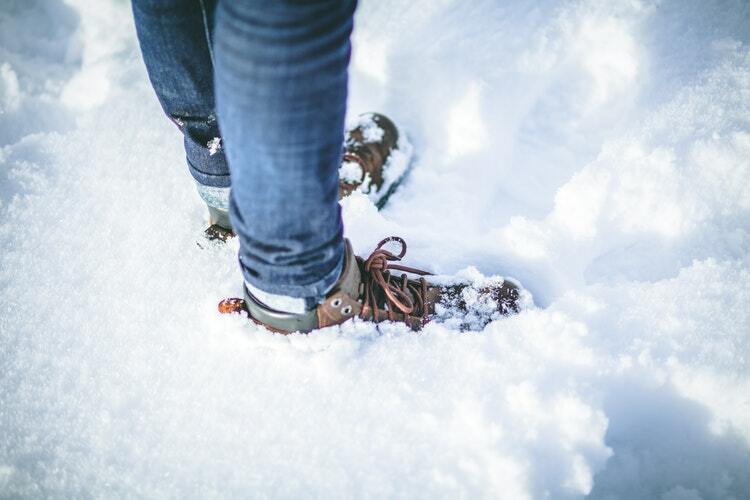 The best winter boots for men are made from durable materials, offer waterproof protection, insulation from the elements, good support, and treads for slippery surfaces. More often than not, these boot uppers are made from either treated leather or a heavy-duty nylon. Both of these materials are resistant to tears, snags, and wind. When it comes to insulation, some boots have a lining built in and others don’t. If you’re looking for that extra layer of warmth, there are plenty of places where you can purchase a removable liner. Simply slide it in and out of your shoe. And make sure to get the right size of course. Something to consider when purchasing your winter boots is whether or not you want to or need to go a half size up. Remember, when you are wearing layers like wool socks an adding insulation, toe space can become cramped quickly. Get ready for winter weather with the Ceyue Men’s Leather Snow boots. A fur lining adds a contemporary touch to what would otherwise look like everyday footwear. 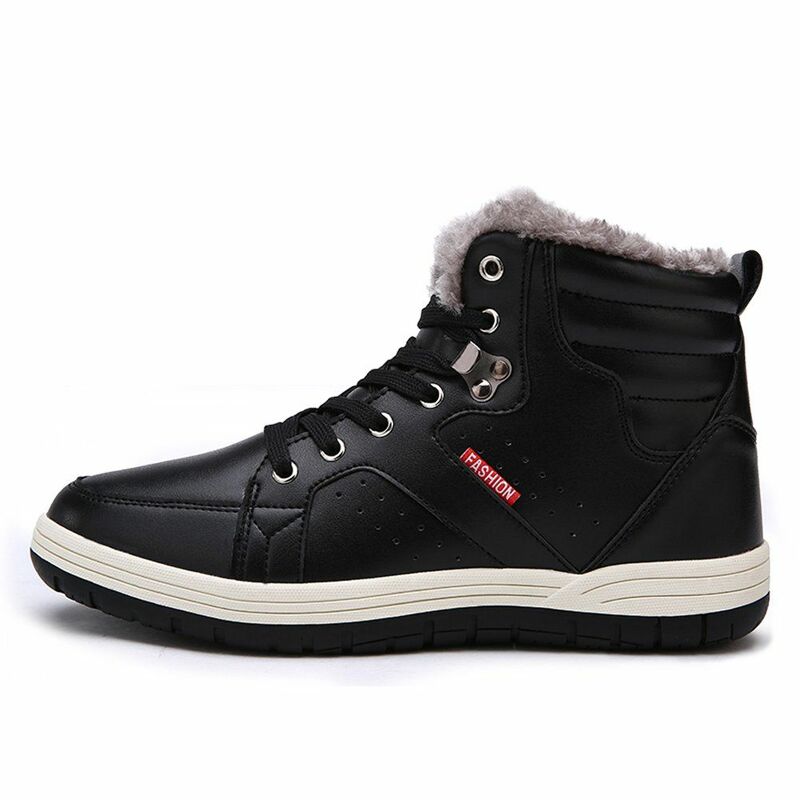 These snow sneakers come in a variety of colors and a synthetic exterior lends itself to a trendy aesthetic. Lace fastenings and the fleece lining give it a snug, comfortable feel that keeps heat inside and cold out. 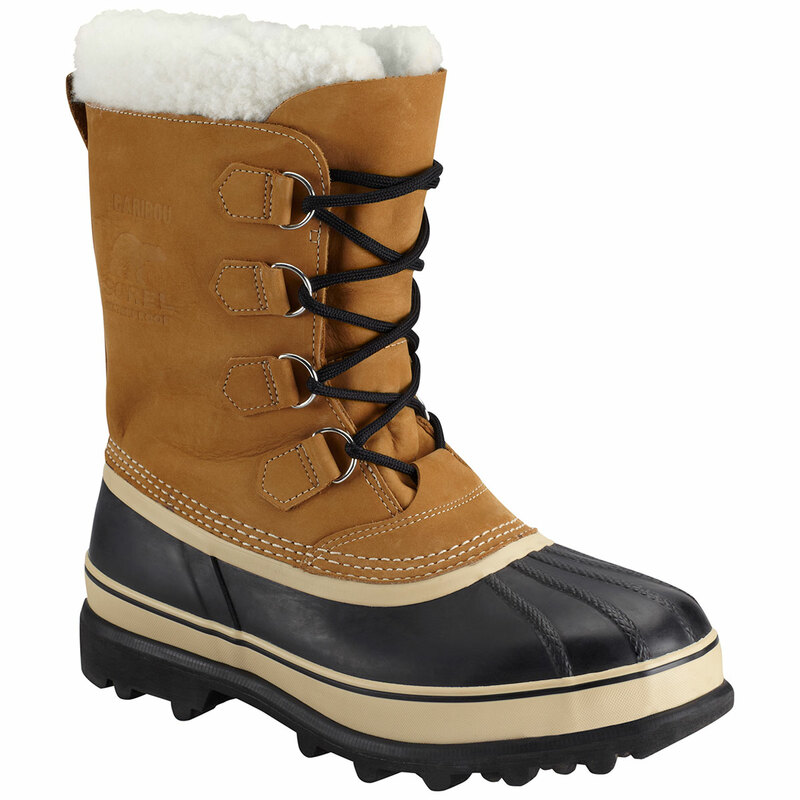 We also love that the polyurethane leather upper allows you to walk in a snowfield without getting wet. With the cozy lining and soft insoles, your feet are prepared to handle the elements. Take it all in stride with the best winter boots for men. Pair it with any casual wear and you’re good to go. 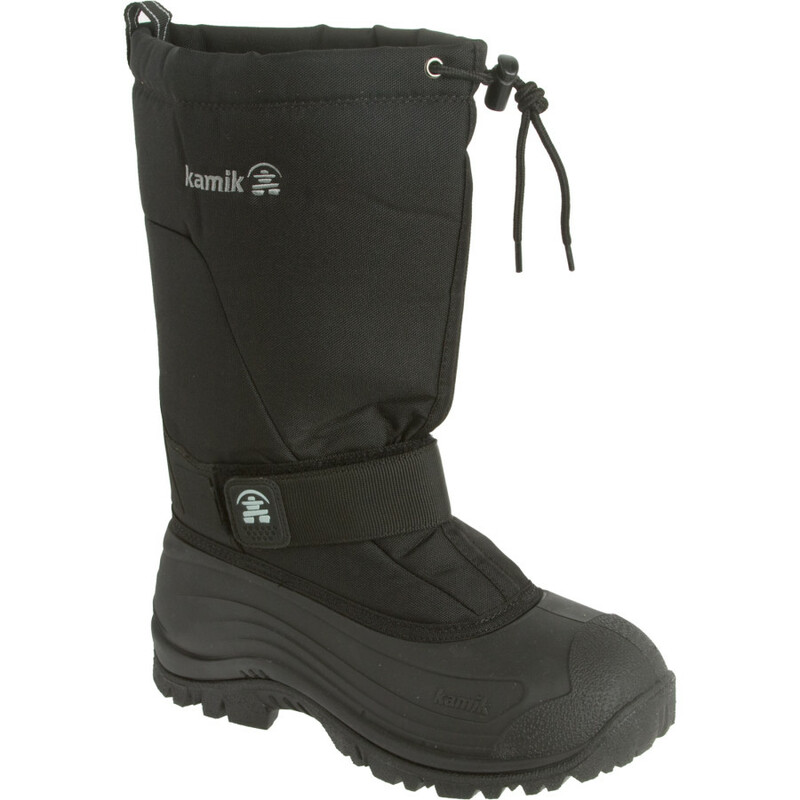 You can take these Kamik boots literally anywhere. They’ve been tried, tested, and true. Let’s put it this way. If they can keep you warm when you’re treading on frozen tundra in the Arctic Circle in the dead of winter, they can keep you warm anywhere. After all, the 600-denier nylon uppers are completely waterproof. In addition, the 8mm thermal guard liner is in place to keep you toasty in temperatures down to -40 degree Fahrenheit. Even in the cold, the rubber outsole remains flexible and offers great traction. While the removable thermal guard liner keeps heat in, it’s also moisture wicking. So, you’ll never have to worry about sitting in uncomfortable, moist shoes. Last but certainly not least, the velcro closure strap helps to keep the foot snug. A thick tread rubber outsole is great for slippery surfaces. If you’re looking for the best winter boots for men, you’ve found some in the Arctiv8 Men's Nortiv8. Everything about the design is geared towards braving the elements. These shoes work well in both wet and cold outdoor conditions. Thanks to weatherproof protection, microfiber, and heat reflective lining, your feet will stay toasty even if it’s cold outside. Enjoy all the comfort all day long. A rubber outsole lets you walk in the winter wilderness, even on slippery surfaces. The all-weather protection is designed to retain heat to temperatures of -25 degrees Fahrenheit. In addition, the shoes have a water and oil resistant upper. With a shaft height of six inches and a cushioned EVA footbed, it’s easy to see why they are a good buy. 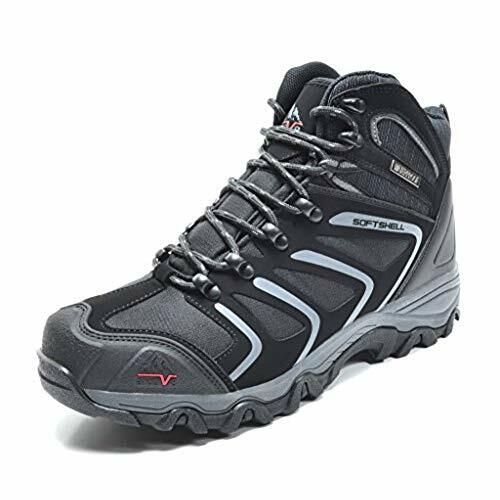 Arctiv8 carries boots for all kinds of terrain, seasons, and activities. Whatever you need, they’ve got you covered. 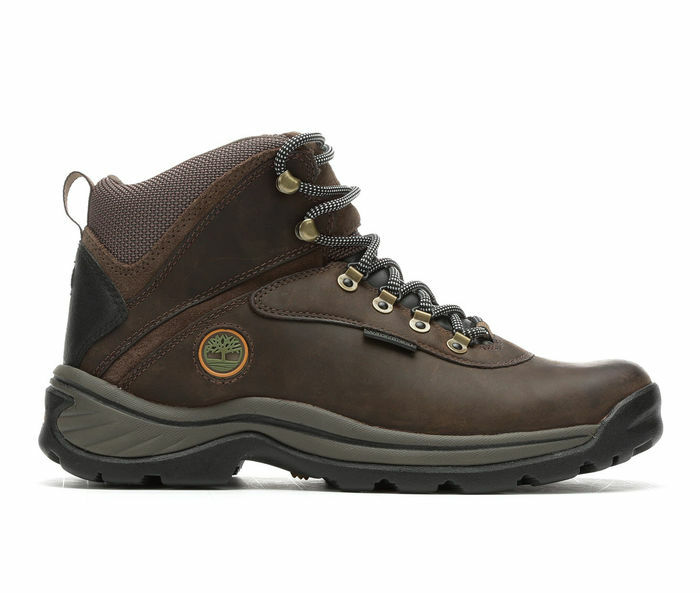 Leave your mark on the trail in these great waterproof hiking boots from Timberland. These shoes are made for any terrain. With a sturdy construction and durable fabric, these shoes and their rubber outsoles keep you warm and comfortable. All you have to do is focus on the trail. Besides offering protection from the elements, they are so comfortable to wear. The perforated EVA footbed offers air circulation for breathability when you need it most. A durable rubber outsole and lugs follow the natural motions of your foot. You can break, flex, and propel with ease. You’re the master of the terrain in the Timberland White Ledge Mid Waterproof. These are some of the best winter boots for men. Take them on day hikes, weekend adventures, and simply wherever. With a full-grain waterproof leather and seam-sealed protection, you’re safe from raindrops and water crossings. Add in those multi directional lugs we talked about and you can get around with ease. A padded collar and tongue keep your ankles comfortable as you move about. SOREL has done it again. The Men’s Conquest boot is nothing if not rugged and durable. 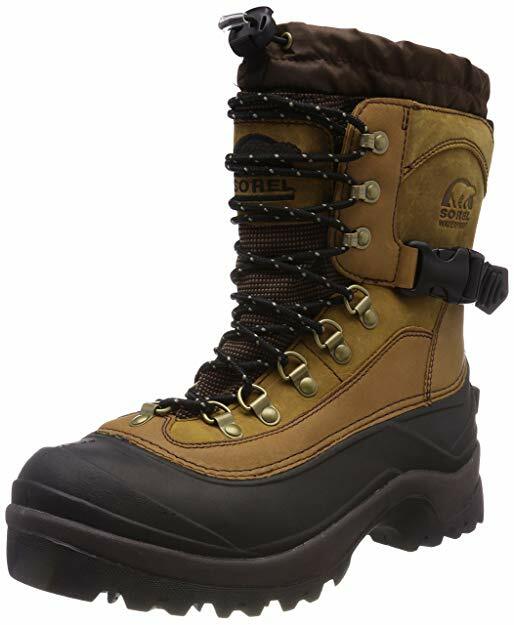 This waterproof leather style features seam-sealing, a molded EVA comfort footbed, multi-directional lug sole, and 400 grams of thinsulate insulation. Even when you are exposed to the elements, these shoes won’t let you feel a thing. 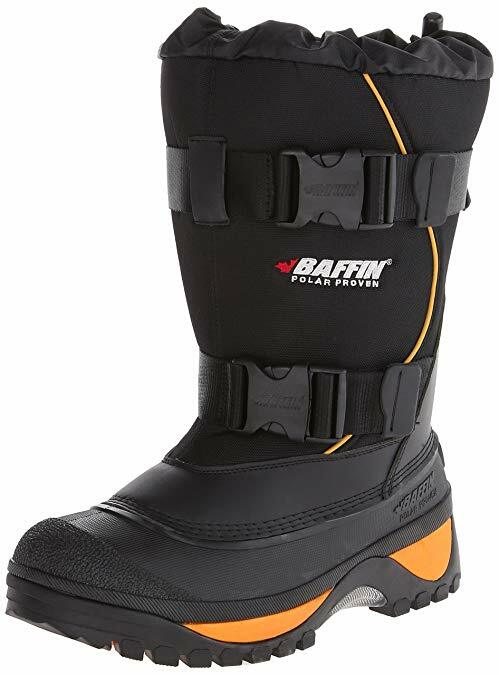 Thanks to the built-in gaiter bootie, you can walk in deep snow without your feet getting cold or wet. The Achilles adjustment strap can also be tightened to provide additional ankle support for uneven terrain. Last but certainly not least, the removable EVA footbed reduces impact on your feet and provides thermal protection for long days in the cold. You just can’t beat SOREL’s styles. So, we had to add another pair to our list of the best winter boots for men. The Caribou is one of the brand’s most popular styles and with good reason. 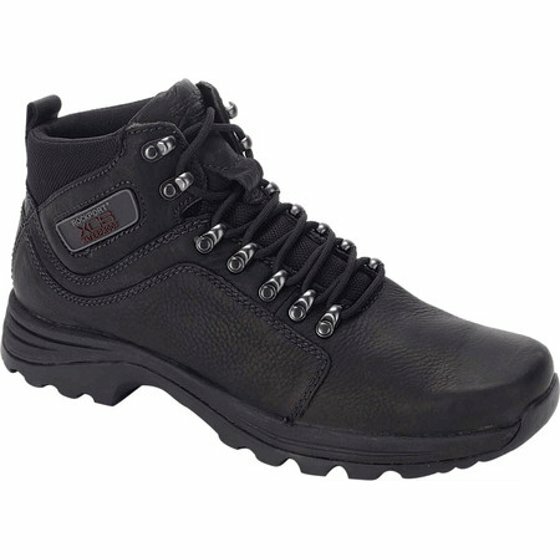 Featuring a nubuck leather upper and waterproof construction, seam sealing, and a removable insulation liner, you will be prepared for whatever the cold brings. This all-weather boot helps you take winter in stride. Even if you’re walking in deep snow or on icy conditions, the leather upper provides plenty of protection. The metal lace-up shaft and inner boot insulation help to retain heat and keep you dry even in the most extreme conditions. Last but not least, the rubber sole helps to wick away water and slush from melted ice. The heavy sole will keep you grounded, making sure each step is falter-free. Stay warm and comfortable all while looking your very best. 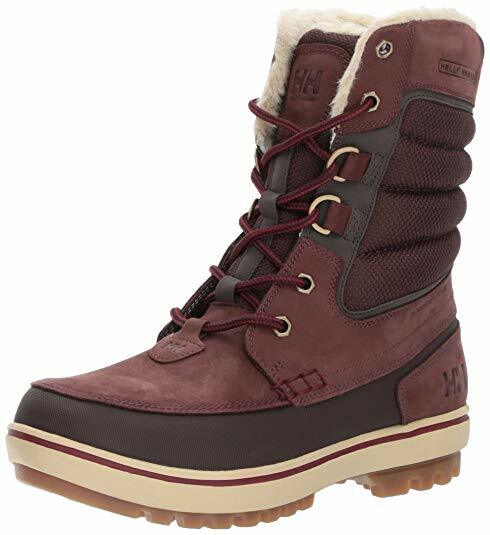 The Garibaldi 2 style from Helly Hansen is definitely one of the best winter boots for men. Why? Well, it pairs style and function effortlessly. Waterproof nubuck leathers and a warm faux fur lining will keep you warm and stylish during the winter season. If you’ve ever stepped foot in an REI - or any sporting goods store for that matter, you know who Helly Hansen is. They provide nothing but the top technical gear for survival and outdoor sporting events. Work and play come together in their concepts in a way that prepares you for the best experience possible. Environmental research, athlete input, and strategic design result in superior gear for all types of adventurers. In addition to the waterproof uppers and faux fur lining, EVA cushioning provides unparalleled comfort and support. Taking a look at the outsole, we can see that it’s made from a durable rubber for long-lasting traction on the trail. Whether you’re trekking in good or icy conditions, these shoes are made for the job. As part of their Reaction shoe series, the Baffin Wolf style is much lighter and more technical than other styles. It works particularly well when you are walking in deep snow. Constructed from a lightweight, recycled rubber, these shoes offer protection that won’t weigh you down. Needless to say, they’re some of the best winter boots for men. Stay safe and at ease with this shoe. Overall, you are getting more insulation, a better fit, and maximum comfort. These boots are different than most types of winter boots since the sole and midsole are molded to the same base. This itself is a marvel of shoe engineering. An advanced set of polymers are combined to strike the right balance of protection and warmth, a lightweight body, and good grip. You’ve just found where fashion marries functionality. Go exploring. Don’t let the cold stop you. Rockport’s men’s Elkhart Snow Boot allows you to move confidently. Each of the elements are crafted in a way to provide function when you need it most. It has everything you need in a shoe and nothing that you don’t. Thanks to hydro-shield waterproof tech and seam sealing, you can keep comfort in and dampness out. Breathable mesh panels keep your feet cool and dry. The rubber sole allows for comfort every step of the way. Rockport has always been leagues ahead of standard brands on the market. Since 1971, they have been using athletic technologies in casual footwear to achieve the utmost comfort and performance.